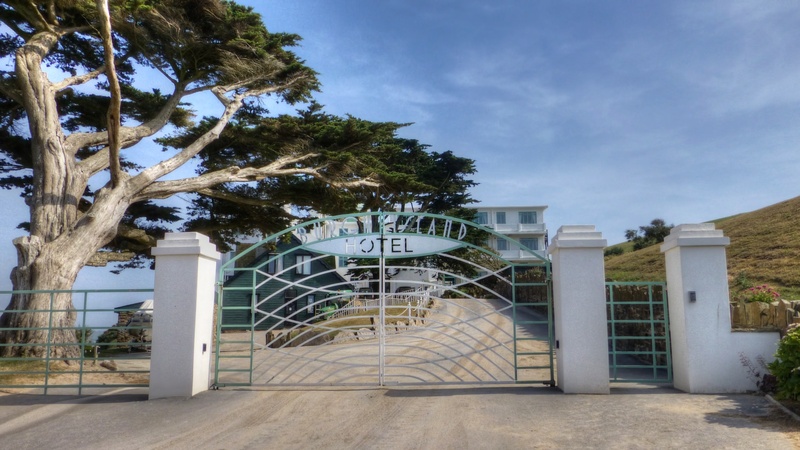 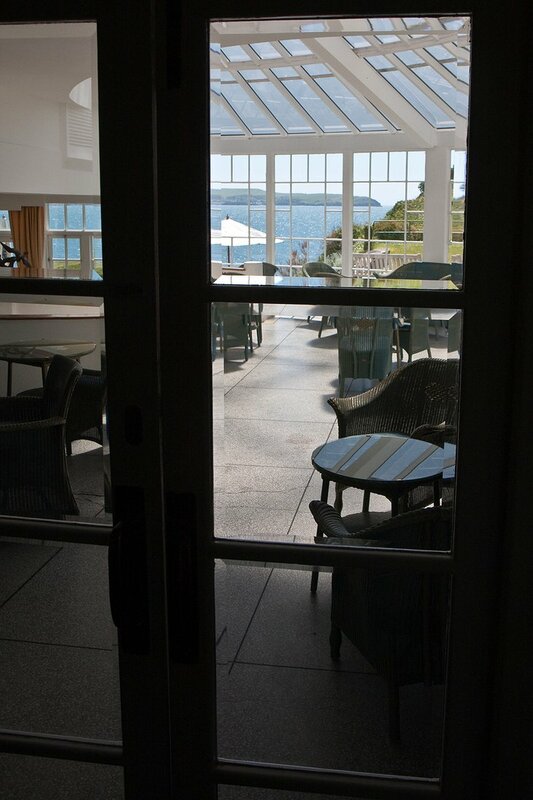 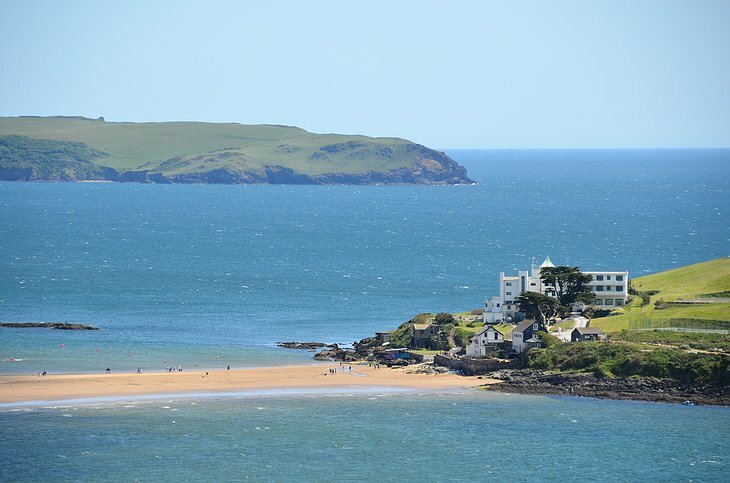 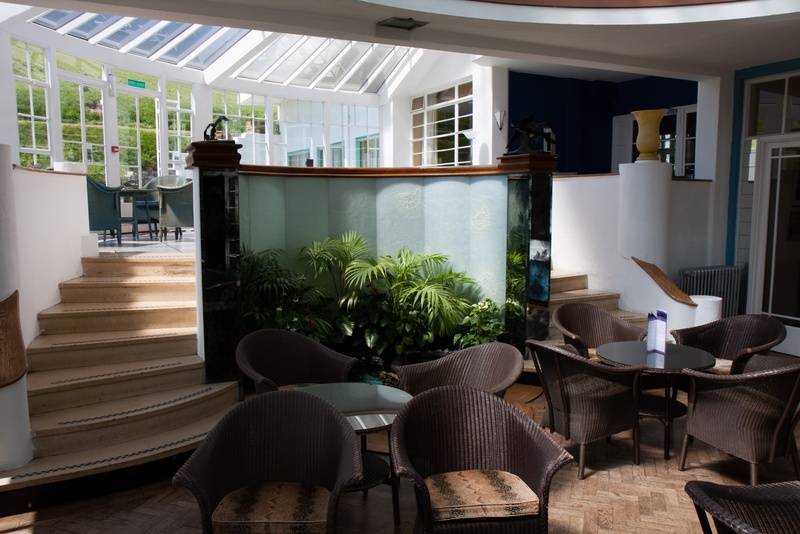 This hotel was a frequent haunt of famous author Agatha Christie who set her novel And Then There Were None on a fictionalized version of the archipelago. 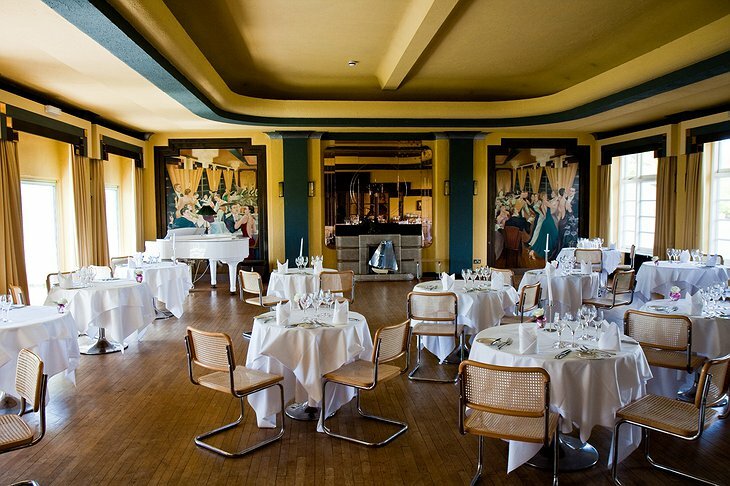 The hotel was finished in 1929 and throughout the 1930s it played host to glamorous guests. 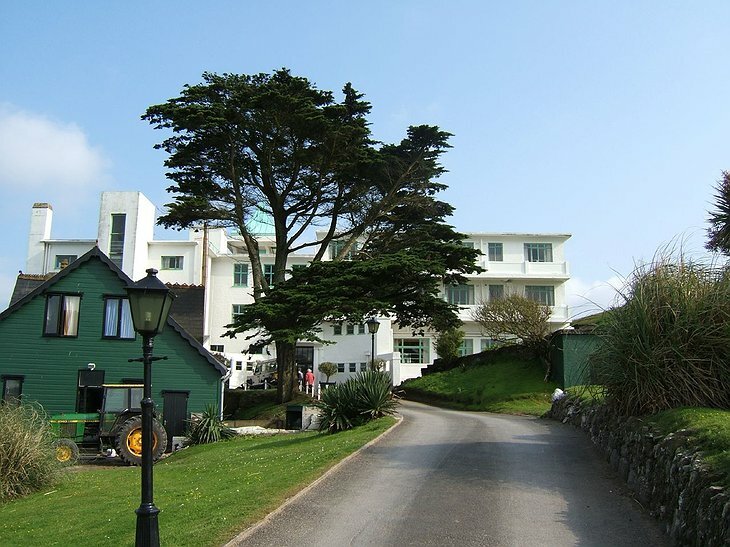 In World War 2 it served as a rest and recuperation centre for RAF personnel until the top floors were badly damaged. 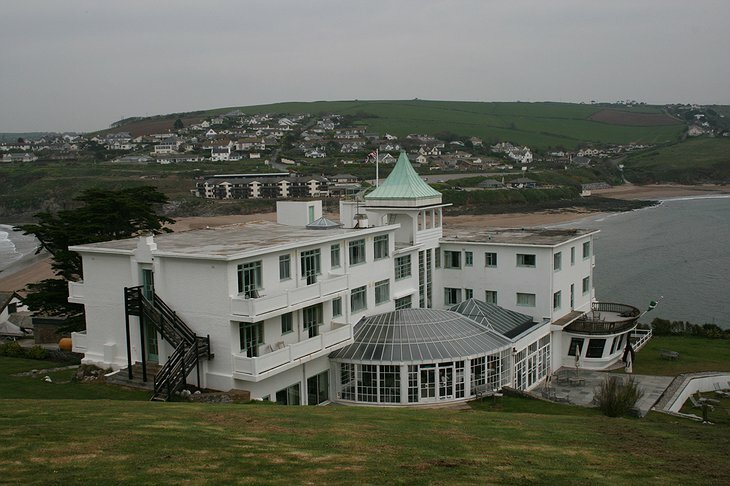 Then it fell into disrepair until it was restored in 2006 to its full Art Deco glory. 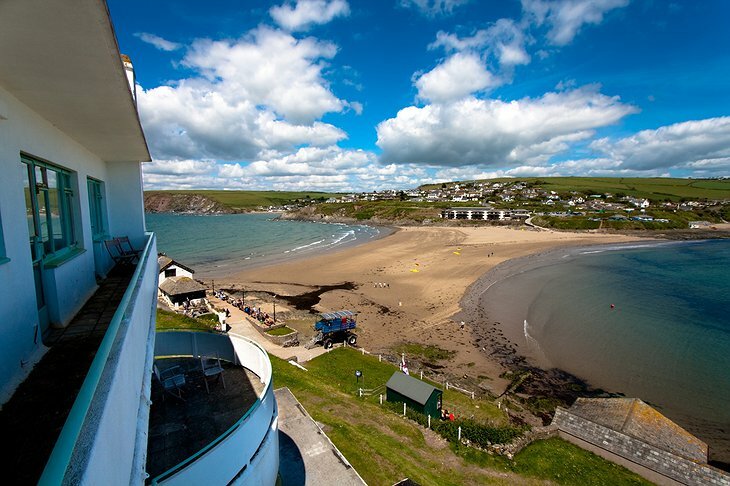 Due to its famous association, the hotel hosts regular murder mystery events and the annual Agatha Christie festival. 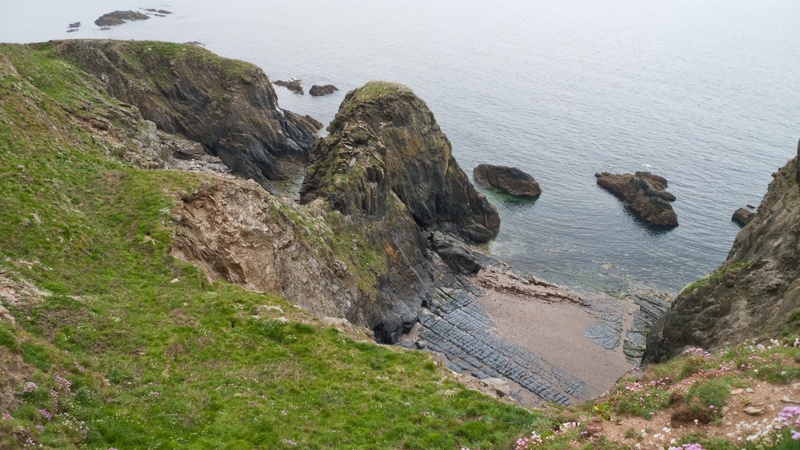 The location is on a tidal island which is cut off from mainland England at high tide. 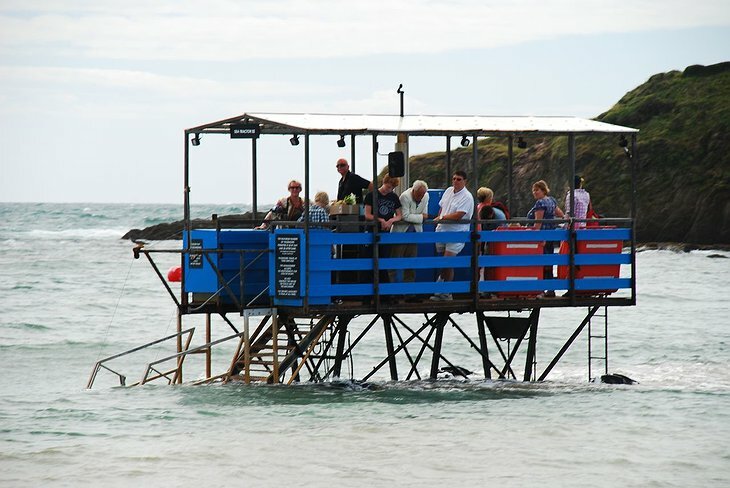 You can walk there on foot or, when the tide is in, you can go by sea tractor where passengers ride on a platform while the wheels turn underwater. 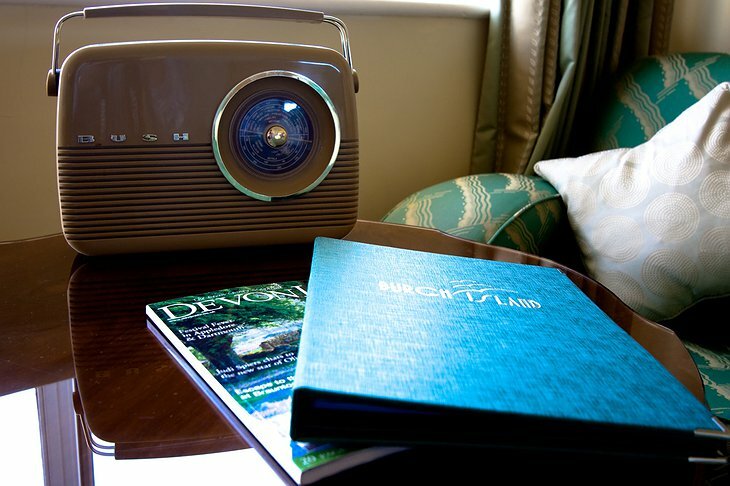 Choose from a number of unique rooms styled after famous guests from the past. 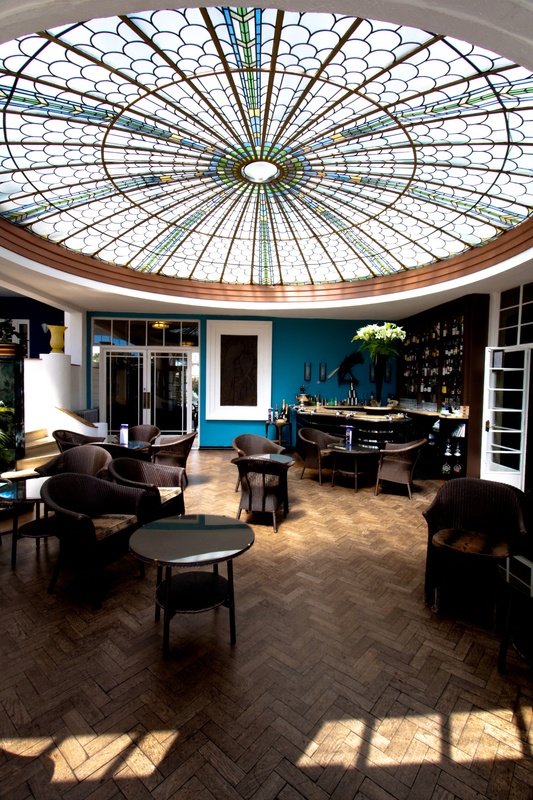 There is an authentic 1930s billiard room or and delightful Mermaid’s Pool. 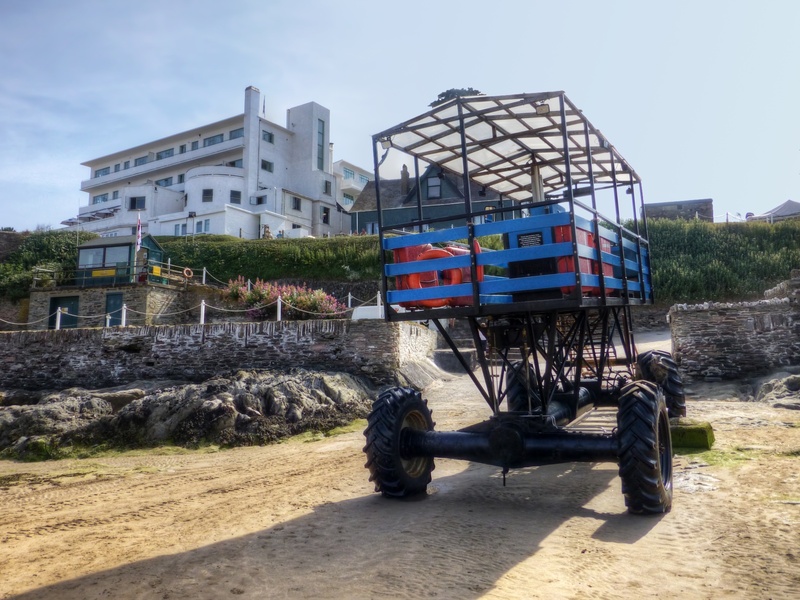 The Sea Tractor of the Burgh Island Hotel. 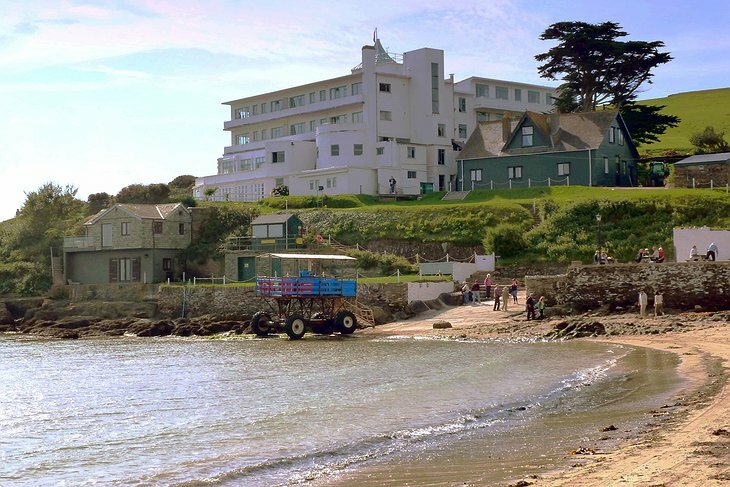 During low tide the hotel is easily accessible on foot. 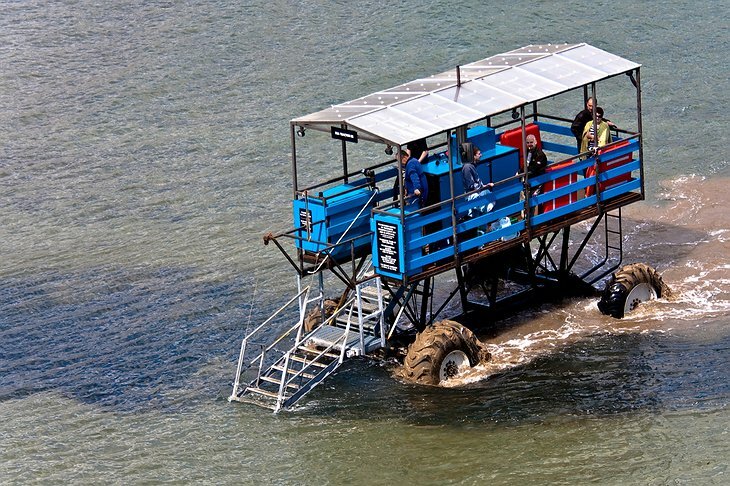 When the tide is high, the Sea Tractor comes to rescue. One way ride costs £2.00. The original Sea Tractor was constructed in 1930 and the current, third generation tractor dates from 1969, and it was designed by Robert Jackson. 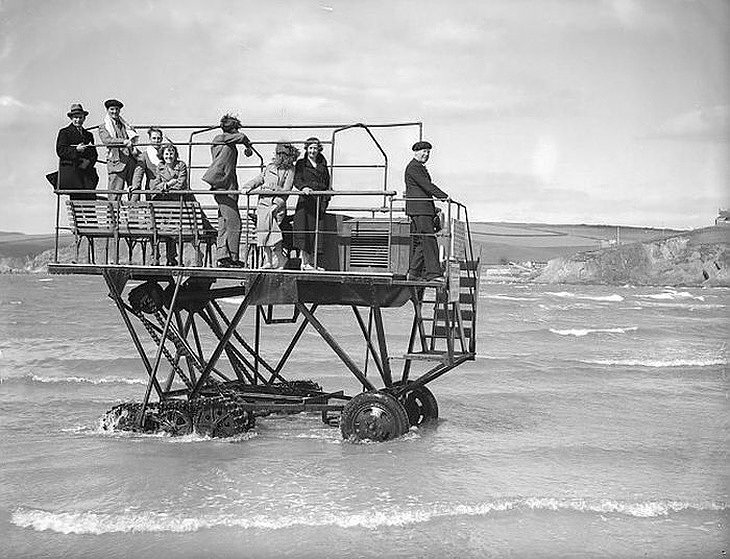 Sea Tractor in 1935, the original version.